In Catalonia there’s a very authentic and popular way of saying Goodbye to winter: the calçotada! The calçots are a kind of green onions that they grow for the purpose of eating them in these local festivities called “calçotada”. Even the preparation is a kind of a ritual: they make fire and they cook these green onions on a metal net with high flame, and when the calçots are cooked, they cover them with newspapers to keep them warm. Cooking the onions is also a social acitivity, people drink red wine together. In the meanwhile, people usually cook meat in a barbecue to have a more abundant meal. If the preparation is a ritual, eating these calçots is that even more! People eat them with their hands and as the onions are burnt on the outside, you get really dirty by the end of the meal. This makes the calçotada a funny event. The ritual consists of the following steps: you grab the calçots and peel them, you dip them in a special sauce (similar to romesco sauce) and then you put them in your mouth trying not to make all your clothes dirty, which usually is quite challenging. The wine is drunk from a special jar called “porrón” and drinking wine directly from that is another sure way of making your clothes dirty. It’s a lot of fun! 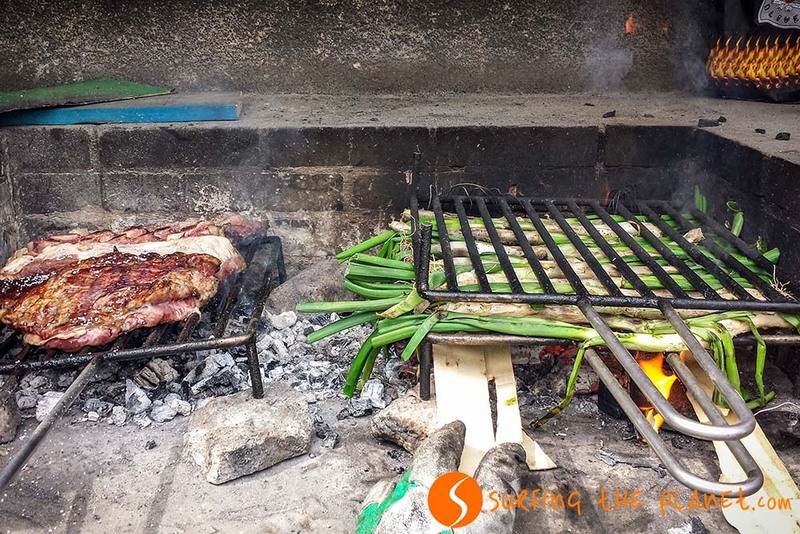 Although restaurants offer calçotada menus, the best way of experiencing this Catalan tradition is going to a barbecue place with friends. People always end up dirty, but the calçots dipped into this sauce are really delicious and it’s a great way of spending time together with your friends. If you come to visit Barcelona or the rest of Catalonia this time of the year, don’t miss the chance to participate in a calçotada! For your visit, check out also this great post with all the cool things to do in Barcelona. Is there a traditional event with food involved in your hometown? Share it with us! 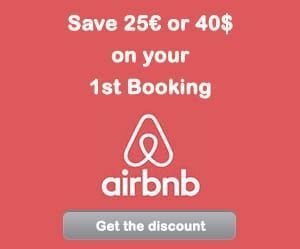 – ZZZ… BOOK YOUR HOTEL IN CATALONIA – find the best hotel for you. – FLYYY… Find the CHEAPEST FLIGHT TO CATALONIA. – BRUM BRUM… RENT A CHEAP CAR FOR YOUR TRIP TO CATALONIA – find the best car for you. Does it tastes good at least? It makes me think of the “fresh hareng” tradition in the Netherlands. You’ve got to swallow a hareng, holding it by its tail when you go on the market. That tradition with the onion seems 10 times nicer! These onions are really tasty and with the special sauce, they are absolutely awesome! are these like the “spring” onions that we have in the UK? they look like it! I had never actually thought about why they might be spring onions but I guess it is the same – they are ready to eat when summer is on the way! I think they are something really similar to what you have in the UK. We have something like this in Hungary too. Thanks for your comment! These are literally making my mouth water!! I LOVE onions and have never heard of this before. I only wish I could reach through my computer screen and grab a few to eat them!!! Adding this to my bucket list now!! I am so happy that someone really believes me that this is delicious! 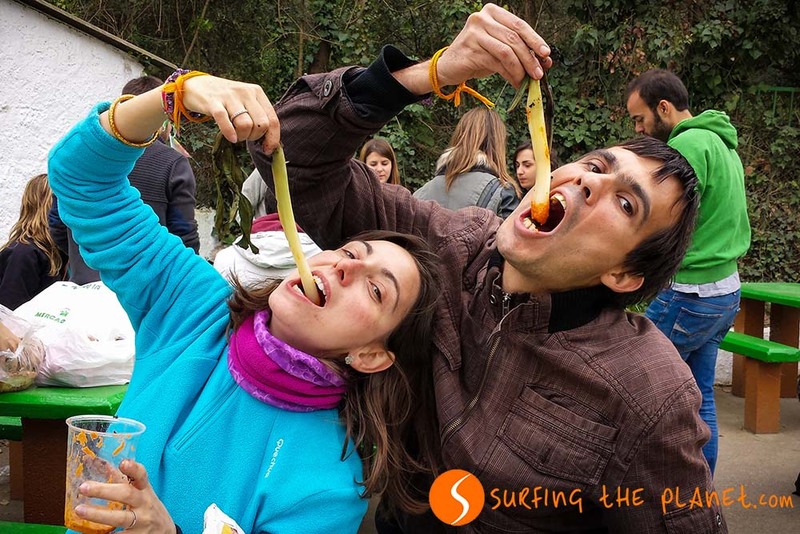 Come to Barcelona next year in February or March, and we will take you to a calçotada to taste these delcious onions! I wouldn’t normally think that this sounds good, but that first picture makes them look really good! They are so delicious and the sauce makes them even more tasty! Looks SO good. I saw this tradition on No Reservations. Onions don’t make me cry, they make me hungry. Yeah Shaun, I love onions too!